The statement quoted Gov. Udom Emmanuel of Akwa Ibom, who inaugurated the hostel, as saying that the facility would reduce the accommodation challenge faced by medical students and healthcare workers in the state. The Niger Delta Development Commission (NDDC) said on Wednesday that it had completed an ultra-modern 522-bed hostel for medical students of the University of Uyo in Akwa Ibom. This is contained in a statement issued in Port Harcourt by Mr Toye Abosede, the Commission’s Head of Corporate Affairs unit. It stated that the hostel, located at the University of Uyo Teaching Hospital, would increase the hospital’s capacity to train more doctors. "This facility which improves access to healthcare for the people, will also boost training of healthcare workers as doctors are in short supply in the state,” Emmanuel was quoted as saying. The statement also quoted the NDDC Managing Director, Mr Bassey Dan-Abia, as pledging that the commission was ready to complete all ongoing projects as directed by the Federal Government. Dan-Abia said that of 19 students’ hostels project embarked on by the commission, nine had been completed. "Since the present NDDC Board came in, four hostels have been inaugurated while four others are ready. The inaugurated hostels are in Imo State University; Federal University of Science and Technology, Owerri; University of Benin, and the Delta State University, Abraka,” Dan-Abia said. The NDDC boss added that current shortage of funds would not deter the commission from embarking on projects that would reduce the sufferings of the people. 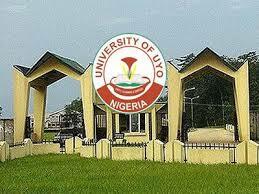 The statement said that the Vice-Chancellor of the University of Uyo, Prof. Comfort Ekpo, while commending NDDC, described the hostel as the biggest medical facility in the institution. Ekpo, according to the statement, said more medical students would be admitted to invalidate the university’s earlier policy of admitting fewer medical students due to accommodation constraints.